AFRICAN WOMEN IN CINEMA BLOG: Vénus Hottentote: a street named Cuvier in Paris, is it appropriate? Vénus Hottentote: a street named Cuvier in Paris, is it appropriate? A street named Cuvier in Paris, is it appropriate? This is the question that Michel Alberganti of France Culture poses using the recent release of the film Vénus noire by Abdellatif Kechiche as a point of departure in a dialogue about the appropriateness of continuing to honor Georges Cuvier, a prominent scientist in his time, in public spaces, in light of his dubious scientific conduct regarding Saartjie Baartman, dubbed the Venus Hottentot. A lively debate from interlocutors follows. The blog is in French, along with images and excerpts of the film (also in French). Below is my French to English translation of excerpts of the text and of selected comments. Why ask the question of the appropriateness of a street named Cuvier in Paris today? Undoubtedly it is due to the power of images and in particular those of cinema. In many ways, the release of the film Vénus noire by Abdellatif Kechiche, on October 27, 2010, changes everything. 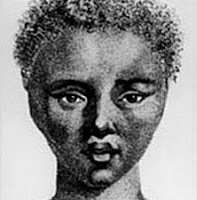 Indeed, the role played by Georges Cuvier (1769-1832) in the dramatic story of Saartjie Baartman, a native woman of the Cape known by the nickname Venus Hottentot, finds itself in the spotlight in the film. And such a spectacle raises questions about how we display our memory of this scientist in the streets of Paris today. Cuvier reasoned and acted according to the ideas of his time, like everyone else, and as we would have done had we lived in this era. These ideas have evolved and we no longer agree with them, but then it would mean that we would reject the entire Cuvier era and a fortiori, all the earlier periods .....Should we rename all of our streets? What names in the modern era would our descendants reconsider? The Centre Pompidou? Mitterrand with the war in Algeria? From the standpoint of Toronto, to rename rue Cuvier seems rather fruitless. Canada is full of names of towns and streets that could be the subject of such debates (e.g the city of Moncton, in the heart of Acadia; many streets bearing the names of so-called French and English "heros" having entered the annals of history by slaying numbers of indigenous people). What good is it to change the street names? This does not change history! Are we too passive, disillusioned, or simply realists? Why not expose the current conditions? In each instance the absent are always wrong. Cuvier, Lavoisier, the giants! Those who are making these accusations, are they blameless? In the words of that great French writer paraphrasing an Arabic proverb: "The dogs bark, the caravan passes". I quite agree with all the comments. Instead of taking offense so easily about the past, we'd better take care of the present, and there's plenty to do! Human rights, particularly women's rights, are still largely ignored at this very moment, in 2010, right here at home, in France and elsewhere. But of course, it is much more difficult to be overtly offended, because we have so little excuse for not acting…It also reminds me of the largely ignored fight against the genocide of Amerindians in North America by European settlers, within the relatively short time of two hundred years. Following the same logic, let us withdraw all of the racist Westerns depicting genocide of Amerindians. Certainly, the maneuvers of Cuvier regarding the Hottentot Venus are now viewed as outrageous. But how does one judge the behavior based on the dominant concepts of two centuries ago using the values of 2010? Once we have removed the rue Cuvier in Paris, will his acts be viewed as more respectable? Moreover, the intelligent readers of this article, when walking down rue Cuvier, can only feel in their heart, a shame for this man whose actions appear to us, rightly so, guided by the darkness of ignorance. While walking down this street, it could generate a more comprehensive reflection on the ends and means, the methods of science, or the commonplace nonsense that brings about prejudice when confronted with the Other. And then, after the renaming of rue Cuvier, what will we do? 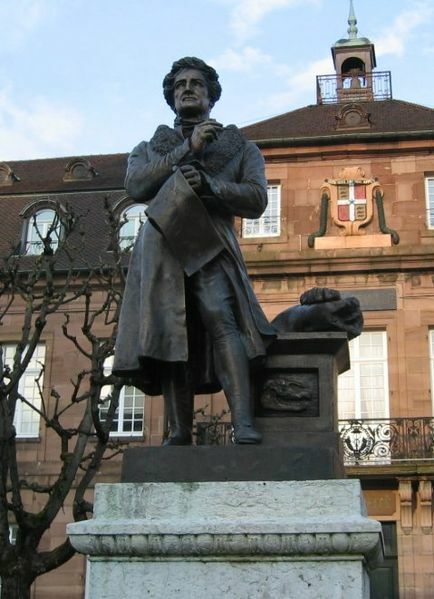 We'll find someone to propose to index his work, to dismantle his statue, to censor the pages in the textbooks on which his name appears...Cuvier has committed a stupid, vile, unspeakable act. Keep your eyes open. Though his error was the origin of scientific thought one must never forget that scholarship, science, even genius, are not the absolute immunization against rubbish. This critical attitude seems to still belong to the field of knowledge and civilization, a measured attitude both modest and prudent, on which an epistemology is based. An intellectual journey, the development of a nuanced complex thought, which does not ignore past mistakes, is desirable to a fatwa, even a post-mortem one. And God knows how much I love Africa. Michel, you said: "La rue Cuvier, for example, has existed since 1838. Since then, others have made their contribution to biological research. Should we continue to hold on to the same references to the past?" I do not think this is the question that should be posed.... It's not really these past works that are at issue. The "great men" are honored for the positive work they have “contributed” to their field, no matter their ideas in other respects—ideas about which we may not even know. They say that Pasteur was very difficult. Today he would be even called a reactionary. When a film is released about his life, will we need to rename the Pasteur streets and schools? The one who plays the angel plays the beast. The perfect man, who lived in his time and thinks in ours, does not exist. The men whom we consider the best today will be stigmatized tomorrow. Ideas have their way, as do the length of skirts. It is indeed very appropriate to ask this question, to which my answer is clearly NO. Paris cannot continue to offer its streets to the likes of Cuvier and Geoffroy Saint-Hilaire. Rename them quickly to restore honor. Thank you for opening the debate. The question is relevant and I welcome the film... Rename rue Cuvier, rue Sarah Baartman!